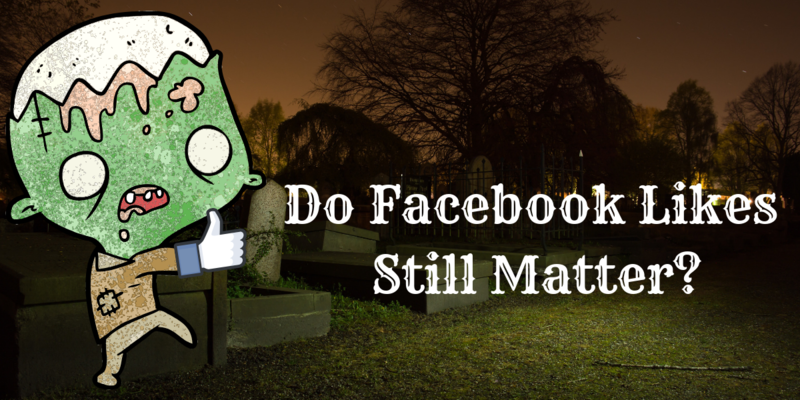 Do Facebook Page Likes Still Matter? Five short years ago, growing your social community was very important. The more Facebook page likes you had, the more people would see your content and hopefully engage with it. The more people engaged, the more people saw your future content. It all started with that initial action of liking a Facebook page. However, social media marketing has evolved over the years. Metrics that were important in the past just aren’t as relevant today – especially when those metrics compete for finite amounts of budget. Let me qualify the rest of this blog by saying that there absolutely is value in social proof. Users look to one another to validate brands and what they have to offer. However, there are more of these social proof signals available than simply page likes and followers. As I am sure you’ve heard, Facebook has made it more difficult to reach the people who have connected to your brand's page. The reason for this is that the competition for space in the news feed rapidly increased over the last few years, and Facebook had to find a way to maintain a good user experience. Enter the "Facebook news feed algorithm changes." By favoring person-to-person interaction and content, Facebook is trying to show users content that is most relevant to them. In the past, you could be sure a certain percentage of the people who liked your brand's page would see your content organically. Since the Facebook news feed algorithm changes, the only way to be sure a substantial amount of your community will see your content is to invest in Facebook ads. Now that paid strategies are the best way to serve your content to a targeted audience, you no longer need to rely on building page likes to have a community with which to serve your content. Brands can now totally bypass counting likes and focus on other value-driven business metrics. The sad part is that, due to the Facebook news feed algorithm changes, users who like your brand's page may never see your content organically. In the past, users HAD to connect with a page to leave a comment or interact with a post. These days, that requirement no longer exists. Therefore, users can search for a brand's page or discover it through a share from a friend and participate in the conversation if they choose. Facebook page likes also used to be very public actions. Whenever a user would connect with a brand's page, a story would be placed into the news feed stating something like, “Tom and 15 of your friends liked X page." This display of social proof doesn’t happen anymore. Users can also navigate to brand pages and leave reviews and comments without any obligation to connect. Assuming that page likes equal an endorsement of your brand is simply not accurate in modern social media marketing. People will connect with your brand because they like your content and think it's relevant, but reengaging those people will likely take advertising dollars. According to a study, only 1% of users who like a brand on Facebook will visit that brand’s Facebook page. Since Facebook users spend almost all their time in the news feed, banking on page likes to drive business results is not a good idea. Doing so is the equivalent of being obsessed with a car that can't take you anywhere. 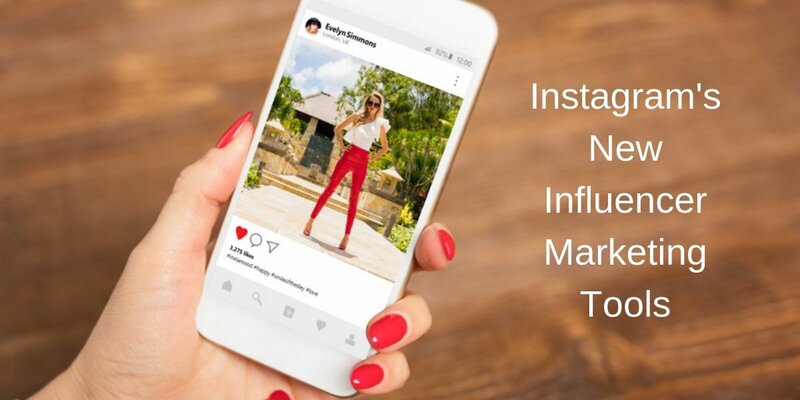 The fact of the matter is that you can invest to build the biggest brand page in the world, but statistically, none of those Facebook page likes will correlate to revenue. 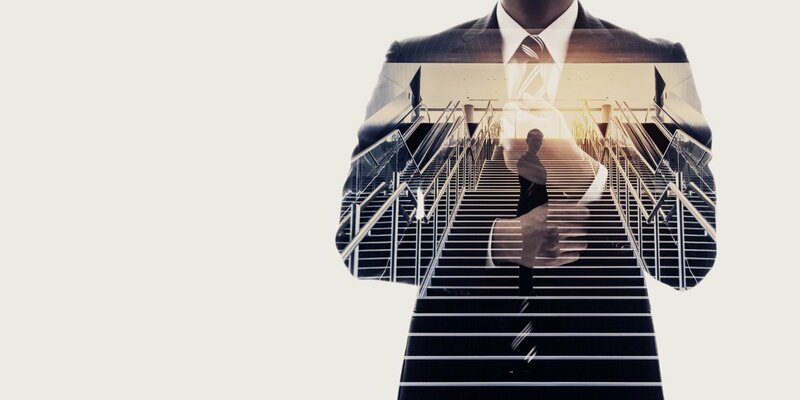 The journey from liking a brand page to purchasing a product is a long, convoluted adventure that has many twists and turns. Of those twists and turns, a page like is the most irrelevant, considering the other ways to target consumers on Facebook. Speaking of other ways to target consumers on Facebook, there are a slew of great tools to help drive actual business value for your brand. Yes, these are advertising options; however, they offer substantially more business value for your brand than obsessing over page likes. Website Traffic – Instead of running page like campaigns, why not try to get users directly to your website to consume content, and then work them down the path to purchase? Getting users from Facebook to your website helps set the wheels in motion to generate revenue in a more tangible way than trying to build the amount of page likes you have. 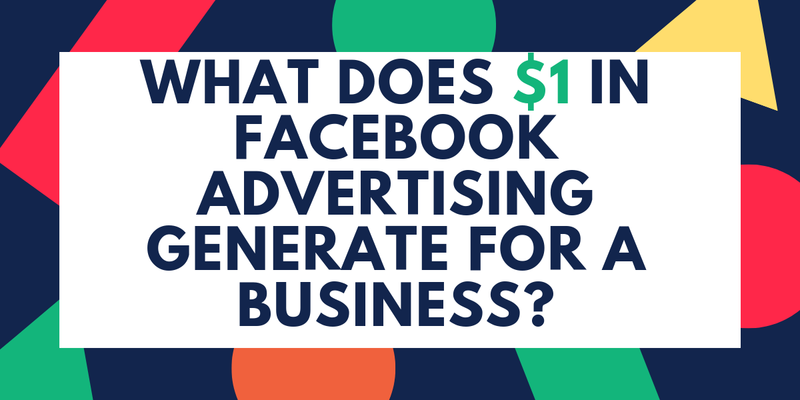 If you want to take this another step further, install the Facebook Pixel and run conversion-optimized ads for an extra bang for your buck! Brand Awareness – Facebook page likes used to be important because that connection helped people see your content. With brand awareness ads, you can be damn sure people see your content, as this ad unit focuses on generating as much awareness (impressions) as possible to your target audience in your geolocation. Brand awareness ads measure brand recall, or the amount of people who remember seeing your brand within a few days. This is a great way to measure the traction your brand is getting for top-of-the-funnel actions! Promoted Content – Engagement is still a solid key performance indicator for your social media content strategy. After all, you want people to have a reaction to your content. While people can still enjoy content without engaging with it, promoting content enables you to control who sees your content and avoid the perils of the news feed algorithm. The funny part here is that you can get all the Facebook page likes you want, but unless you are running promoted content, those people will likely never see it. Also, through targeting, you can reach the same demographic of people through interest and behavioral data, thus making worrying about Facebook page likes a tad silly. I know I have been a bit harsh in this blog post, but it is VERY important for the success of your brand that you don’t obsess over vanity metrics such as Facebook page likes. 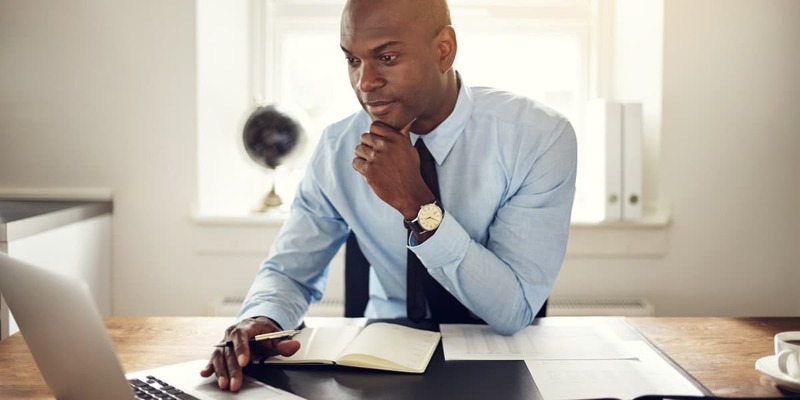 Yes, there are ways to market to the people who choose to connect with your page, but these tactics pale in comparison to what you can do to drive business value by investing a few dollars in Facebook ads. Facebook page likes might make you feel warm and fuzzy, but they aren’t doing as much as you think for your business. Need help determining the tangible return on investment (ROI) of your social media efforts? 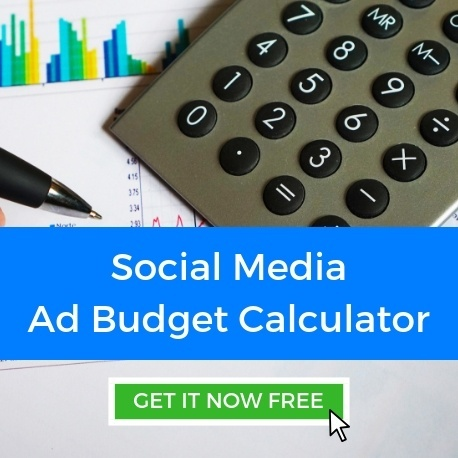 Download our free calculator today!